Senator Jackson has noticed an inequality in the workplace among genders and is working furiously to pass bills that give everyone an equal opportunity. It all started for Senator Jackson when she was denied playing Little League baseball. Since that moment she has been spending her life’s work to give women an equality opportunity in the workplace, a disparity that still happens today. Senator Jackson is working on numerous bills to ensure women across the country can follow their dreams without the worry of being sexually harassed or discriminated against because of their gender. Nathalie Virem: Can you share with us your journey on becoming a Senator? What setbacks did you have in your career and how did you overcome them? Hannah-Beth Jackson: I started off as a very young girl wanting to play Little League back in a time when girls weren’t allowed to play Little League and I was insistent. When I wasn’t allowed to try out for Little League, I expressed my displeasure and so I prepared a petition and went around my neighborhood asking people to sign the petition that would allow girls to participate in Little League. The Little League Association never responded and so I committed right then they’d regret that decision. That was the beginning of my political career. I was one of the first women in my law school class and we weren’t treated particularly respectfully but we created Women’s Bar Association. I was very lucky to start my legal career in Santa Barbara as a deputy DA. It hasn’t been as easy because in a profession that has been historically male, you have to work through it and it takes a lot of persistence and determination and just unwillingness to accept being viewed or treated as a second-class citizen. What empowered me forward is that I got involved in politics after practicing law for 22 years, I served in the California State Assembly for six years. I ran for the state Senate a few years later after they’d actually gerrymandered districts so it didn’t really fit my particular political perspective. I lost by less than half a percent. It was a very close race but, I ran in 2012 and I was elected and I was re-elected in 2016 and so I can serve my term out until the end of 2020. Nathalie Virem: Today there seems to be more awareness around issues regarding gender equity and women empowerment in business, entrepreneurship and economy. Why do you think that is the case? Hannah-Beth Jackson: We’ve seen more women in the workforce today whether it’s by choice or because in today’s world it’s very difficult to survive on one adult paycheck and today, we know that over 50% of all women are in the workforce, 70% are either the sole breadwinners of their families or the primary breadwinner of their families or their incomes are necessary to make ends meet. As we see the expansion of women in the workforce, we know that women are equally competent, and in some instances, better educated than their male counterparts. More women graduate from college today. Let’s open up the doors and have gender equality and not create or allow obstacles be in women’s way’s to becoming successful, to contributing to society, or to providing opportunity for everyone to achieve their potential. Nathalie Virem: If we’re to look at women not just in board of directors, is there anything around women, entrepreneurial women that empowers them to grow their business, are you aware of anything in this regard in the law? Hannah-Beth Jackson: I’m doing a bill this year, SB 224, which is going to protect women entrepreneurs from sexual harassment that we see being experienced particularly in the world of technology where you have an entrepreneur who is seeking funding from angel investors but those with significant money attempt to create a quid pro quo, “Yes, I’ll be interested in your idea if you’ll come and meet me in my hotel room at 11 o’clock at night,” and this is absolutely inappropriate and I’m doing a legislation that targets that kind of behavior as unacceptable under California Civil Rights Act. Nathalie Virem: How will bill SBA 26 help promote women equity and diverse gender representation? 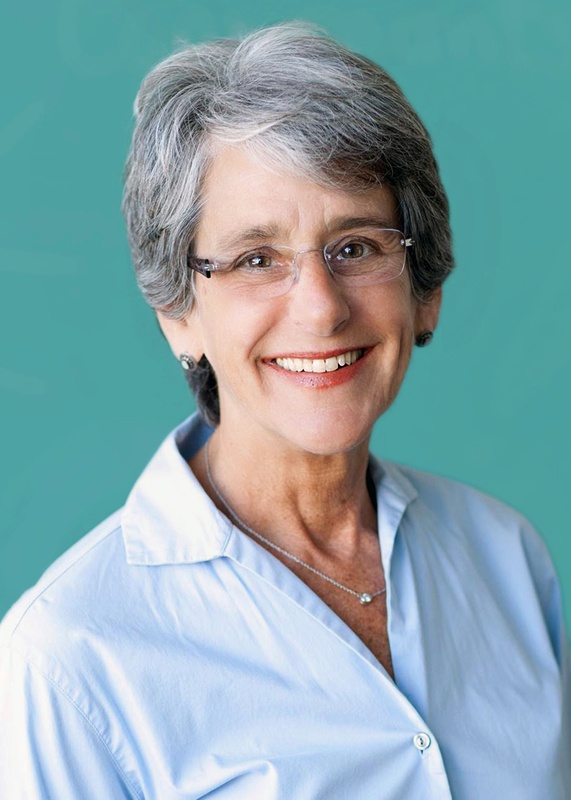 Hannah-Beth Jackson: Back in 2013 I did a resolution that urged California, primarily California’s largest companies to put more women on their boards, on their corporate boards, and publicly held companies. We urged them to add women to their boards. And if it’s a board of particularly increasing number, add more women so that we can create a critical mass. I fast forwarded and looked at a report that had been done by McKinsey and Company, a very highly respected corporate deck consulting firm, and lo-and-behold, this report indicated that we really weren’t making any progress being polite about it; asking permission was not working. I did this bill that is sponsored by the National Association of Women Business Owners that now will require that companies that are publicly traded that are headquartered in California will be required to add a woman to their boards by 2019 and then increase the size of women’s participation over the course of time to create that critical mass. We know that it’s good for the companies, for the shareholders, we know that according to McKinsey report, when you have a critical mass of women on a corporate board, the company is more profitable, it’s more productive, it has better performance, it’s more innovative, and it deals with its workforce in a more collaborative way so we have workforce accountability and engagement. These are all critical items and components for a successful business. Nathalie Virem: What needs to happen for Bill SB 826 to be effective? If Bill SB 826 passes, how long do you think it will take for it to be effective? Hannah-Beth Jackson: The bill has passed the Senate, so it’s over in the assembly. It has one or two more committees to go through and then should it pass, and I’m confident it will, it will be on the assembly floor to be passed. It has to be passed and to the governor by the end of August. I’m hopeful the governor will sign it and it would become effective in 2018 but the requirement doesn’t begin until the end of 2019. Either these companies will fill a vacancy with a woman or add a position. We know there’s very little turnover in these boards and we’re not forcing anybody out, we are creating a quota, we are saying that if you don’t have a woman available on board by the end of 2019 then you have to expand the size of your board to include a woman and if you choose not to, you don’t have to but that the penalty will be the cost of a seat on the board and sometimes board seats paying minimum remuneration of up to $250,000 so that would be the fine. Nathalie Virem: What other legislations are you supporting that still need to pass in the assembly? Hannah-Beth Jackson: I have done legislation on new parent leave to allow new parents up to 12 weeks of job protected and partially paid leaves so they can bond with their newborn children without fear of being fired. That’s critically important because we’ve seen so many women in particular who don’t take time to bond with their children because they are afraid they’ll get fired. We need to expand family leave. I’ve got a bill that’s moving forward to try to extricate, to get rid of, to purge out sexual harassment in the workplace and this is bill SB 1300. It’s partially in response to the me too movement but in response to the fact that for decades, for generations, women have been sexually harassed in the workplace and again with more and more women in the workplace, more and more women needing to work, we have got to get rid of this harassment once and for all. Nathalie Virem: What’s your take on the “me too movement?” Has it impacted your agenda on what you’re trying to accomplish today? Hannah-Beth Jackson: I think it was spurred on by the me too movement so it’s an issue that I have been trying to grapple with for a period of time. We’ve known for years that particularly women in low-paying jobs who are living by a thread have been victims of sexual assault and sexual harassment, I’m thinking of our farm workers, I’m thinking of housekeepers and women in those kinds of jobs which are lower-paying jobs, they are working just to keep bread on the table and a roof over the heads of their families, they are most vulnerable. Nathalie Virem: What do you think is required for America to achieve true gender equality? Hannah-Beth Jackson: We need to show our young girls, we need to show women, we need to show men that indeed women out there can be President of the United States. We are the only industrialized nation in the world that hasn’t had women as president and it’s long overdue and I think for role modeling, I think having a woman as president, we bring a different life experience to the table. I think we can help change what goes on in the boardroom and in the halls of power and in our schools and in all of our life experiences. We need to teach our young men and our young women that we are more than just sexual tools, if you will, objects, that we are not sexual objects, that we are human beings to be treated with dignity and that abuse and harassment and assault is not an acceptable part of our society. When we do that, we will have equity. Is that possible? We have to believe it is and we have to continue to strive for that. Senator Jackson is working to make the workplace equal to all people regardless of their gender. I hope to see her bills get enacted as I believe they will bring a positive change to the workplace, something that is long overdue. All it really takes is one person to make a difference in the world. What is something you would change in the world? What’s stopping you from making that change? Remember, everything you see in this world started with an idea. Why can’t your idea become the next big change in the world?